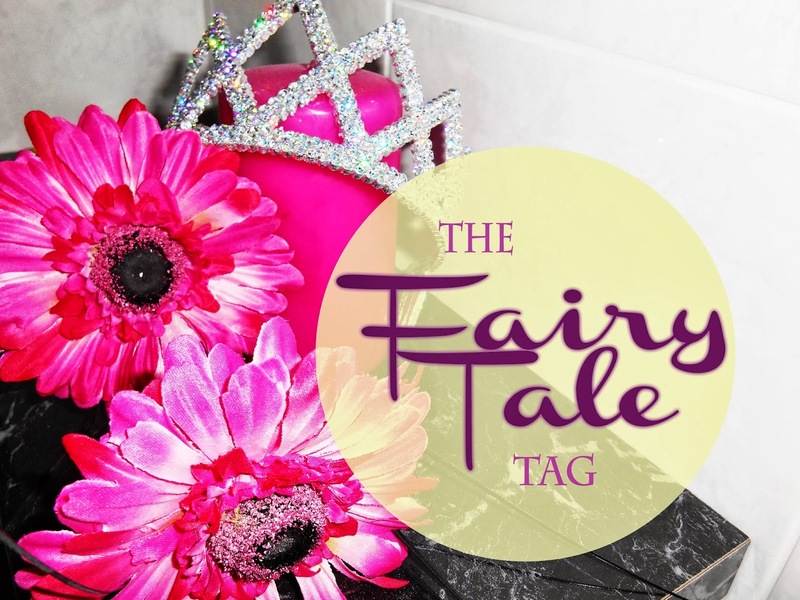 I recently saw on Forever Dreaming of Oz's blog the Fairytale Tag and I thought it was so cute that I had to do it. I am unsure who started it but if you are reading this please email me and I will put your name on here. I think that everyone is beautiful in their own way but people are rarely able to see beauty in themselves and thus I find this hard. I usually get to sleep at midnight and then have to wake up again at 7am and am in a constant zombie like state in which I wish I were Sleeping Beauty and could sleep for 100 years. What would I need that for when I never leave the house?! On the rare occasions when I go out - usually for Church events or to see friends - I come back by 10pm if I'm walking home from Church or whenever if I am dropped home from friends. What a gripping life I lead. I should really say 'yes' but I don't to a great extent. I like going for walks and sitting outside reading but I usually spend the majority of the summer in my room so I can't say that I wholly love being outside. I am an absolute cynic and don't believe much (other than being a Christian so obvs believing in God). I think I've read too much Plato to be too trusting. I think intelligence is one of the most beautiful traits to me. I love friendly people who go out of their way to talk to you. The Wolf and the Seven Young Kids: Are you easily fooled? Not really because I don't buy too much into what other people tell me. I know that sounds cynical. Well, if it were Agape I would sacrifice a lot whereas if it were merely Eros not so much. Yes, I am trying to talk my way out of this using Ancient Greek. So many things! I am very particular about food so bad table manners I dislike. Jack and the Beanstalk: Do you have any plants? Nope. I would like to as I think growing flowers would be fun. Puss in Boots: Do you have any pets? We have 2 Spring Spaniel dogs in our family called Brandy and Hazel. Bluebeard: What is your weak point? I am, as you may have guessed. quite cynical and that sometimes stops me from having a good time. I am also very shy which makes it difficult for me to make friends. Pinocchio: What is your biggest wish? To live my life giving glory to God. I don't think that anything like fame or fortune would satisfy me as I want to live a life that God has set out for me. Much too old. My family constantly say that I am boring. I enjoy politics and philosophy, read classics, go on coach trips, only ever go out for Church and barn dances and love shopping in charity shops. The Star Money: What is your most valuable possession? I am not sure I even own anything valuable. My laptop is kinda valuable but not really. I just have a whole load of cheap stuff. Gold Mary and Pitch Mary: Are you a hard worker or a lazy one? I would like to think I'm hard working but I am rather lazy. I get things done and put effort into them so I suppose I am quite hard working. The Snow Queen: Who is your best friend? What would you do for them? I have been best friends with Abi for about 7 years and we are the 'cramp twins' or the 'silent but deadlys' as a teacher once described us as we are but very quiet. I would eat squid if her life depended on my eating of squid so, yknow, dedicated friend. Yes, I get upset easily. Once a guy shouted 'munter' at me on the street and I nearly cried. Bit awks. Godfather Death: What qualities make a good parent? Being willing to listen to you and support you. And introduce you to good literature at a young age. The Twelve Dancing Princesses: Do you like parties? Birthday celebrations are fun but I have never been to a proper party and I imagine them to be like in Mean Girls and thus I don't think I would like to attend one. Especially as I don't enjoy drinking. The Emperor's new clothes: Do you care a lot about your clothing? I love clothes but I don't buy expensive ones - as you may have guessed by the sheer volume of Primark hauls. The Brave Little Tailor: Do you consider yourself brave? I am not very brave at all. I hate not being brave but I am really not. I hope you enjoyed this post and I would love it if you took part too! I if you do be sure to let me know. You were very honest, and although you don't see yourself as brave, I think you are incredibly so! To write a blog revealing your personal thoughts, making yourself rather open and vulnerable to criticism, being so unabashedly honest in your writing... I think that takes a whole lot of courage. I really like this tag, think I might do it soon :) I'm always so nosey, love getting some insight into bloggers lives haha.